Carpet and fiber care may seem simple, but there's plenty to know in keeping these items in their best condition. That's why the PRO team is serious about IICRC certification, ongoing training, and having a genuine interest in what we do for our customers. To that end, this month we'll include technician interviews. Also this month, in honor of over 30 years in business, we'll talk about Service Excellence and what it means for you, our customer (a pretty simple statement, but maybe the best tip yet!). Hi, my name is Dave Moore and I'm a certified technician here at Professional Carpet and Upholstery Cleaners. I've been in the cleaning industry for the past 15 years. I have certifications in carpet, upholstery, drapes, odor, and water damage restoration. I take pride in what I do and it really makes me feel good knowing that my customers are always happy. I remember one customer a few years back say, "It's not like having a workman in my house, it's like having a friend." That's the true meaning of my work. In my spare time I enjoy painting and spending time with my kids. Hope to visit you soon, and build a long lasting relationship. Hi. My name is Keith Jones and for the past nine years I've been involved in the fire & water restoration industry, cleaning up after water damages, sewer backups, and just about any other water related problems people may have. I also do fine cleaning from pack-out to final cleaning after the restoration has taken place. I hold certificates in carpet & upholstery, water damage restoration, and fire & smoke restoration. I am also a certified mold technician. I helped clean and restore a 200 year old church in Shakopee after a fire. I've done cleanup after teargas. I worked on cleanup after hurricane Ivan in Florida drying out churches. I like motorcycles, boating, fishing, and am restoring my 110 year old house. I like what I do & do it well. Thanks for reading! I'm Dan, owner of Professional Carpet & Upholstery Cleaners, Inc. 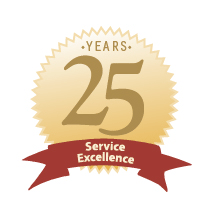 This year, we're celebrating over 30 years in business, serving the Minneapolis/St. Paul metro area. We're proud of our great service record, and our achievements, such as the Angie's List award we received in 2010, and our consistent A+ BBB rating. But awards such as these are not our ultimate goal. Hopefully they let you, our customer, know that we're serious about service excellence... helping you choose us as the professionals who will fulfill your fiber care needs. But our true goal is just this: Service Excellence. We want to ensure that every job we do is done well, and each of our customers is truly satisfied with our work. We hope you'll call us back, and tell your friends about us, sure! However, our primary goal will always be to do the best we can for you, our customer. You really can count on us! So, my tip of the month is simple: Find service providers that you are happy to work with. Things will go well, you'll enjoy the process, communication lines will be open, and the job you need done will be done with Service Excellence. Give the pros at PRO a call: 651-645-0244!